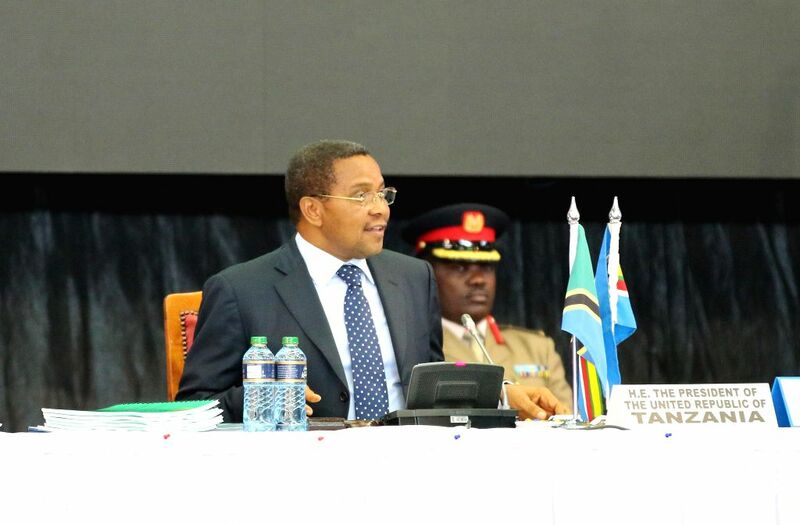 NAIROBI, Feb. 20, 2015 - Tanzanian President Jakaya Kikwete speaks during the 16th East Africa Community(EAC) Heads of State Summit in Nairobi, capital of Kenya, Feb. 20, 2015. East African leaders on Friday called for immediate permanent cease-fire in South Sudan and the speedy implementation of the East African Monetary Union (EAMU). 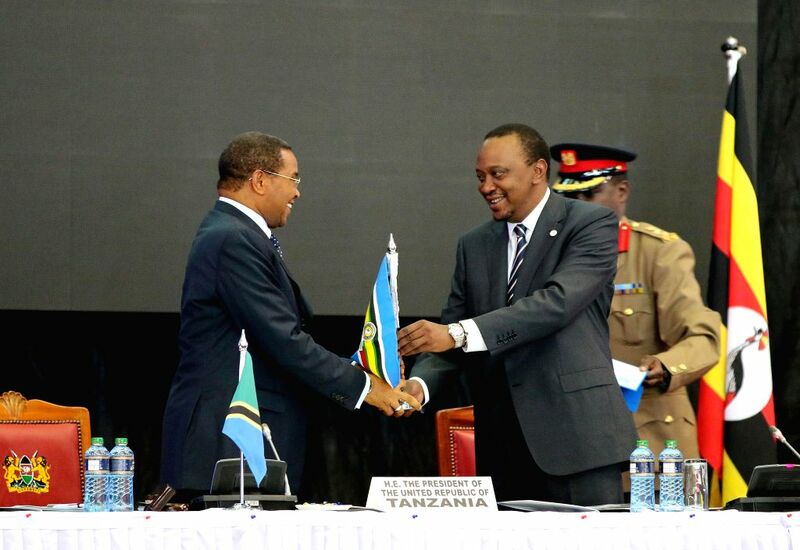 Kenyan President Uhuru Kenyatta (R) hands over the chairmanship of the East African Community(EAC) to Tanzanian President Jakaya Kikwete during the 16th EAC Heads of State Summit in Nairobi, capital of Kenya, Feb. 20, 2015.